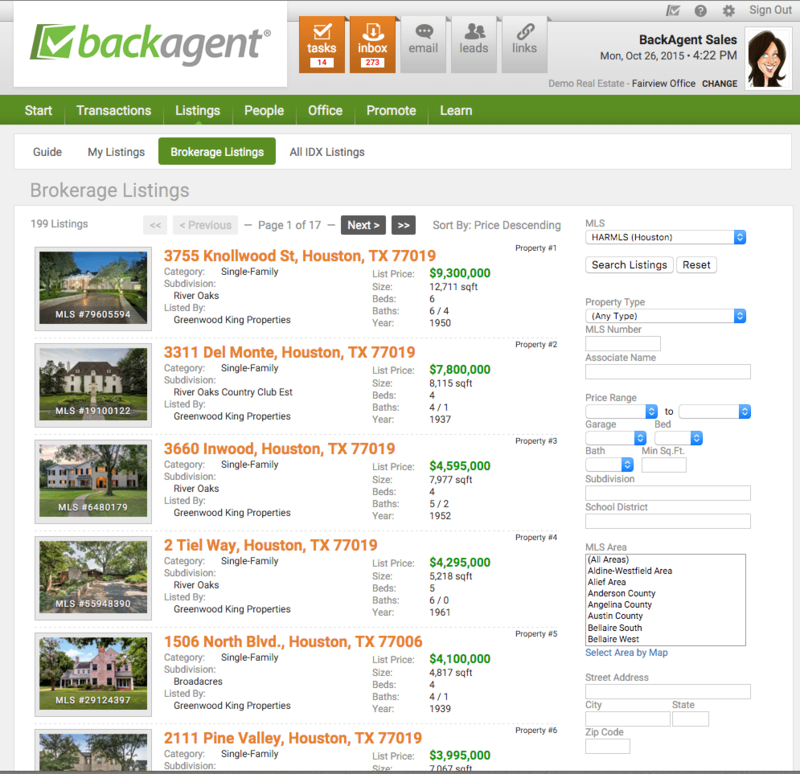 BackAgent is a brokerage management and office collaboration solution. 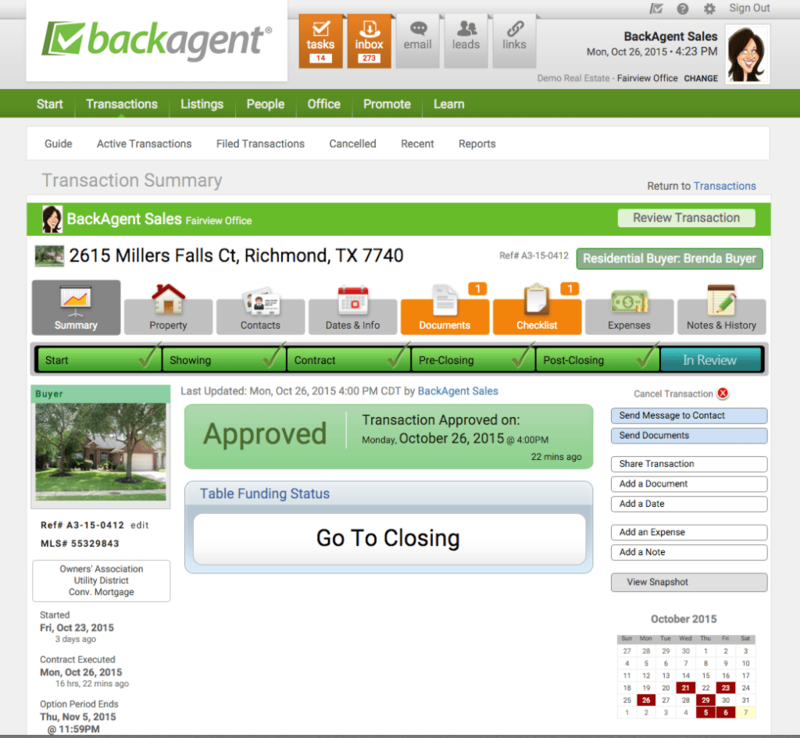 Small real estate offices can benefit from BackAgent’s broker and transaction tools. However, its office management, broker resources and community-centric components are ultimately set up to help manage large sales offices. 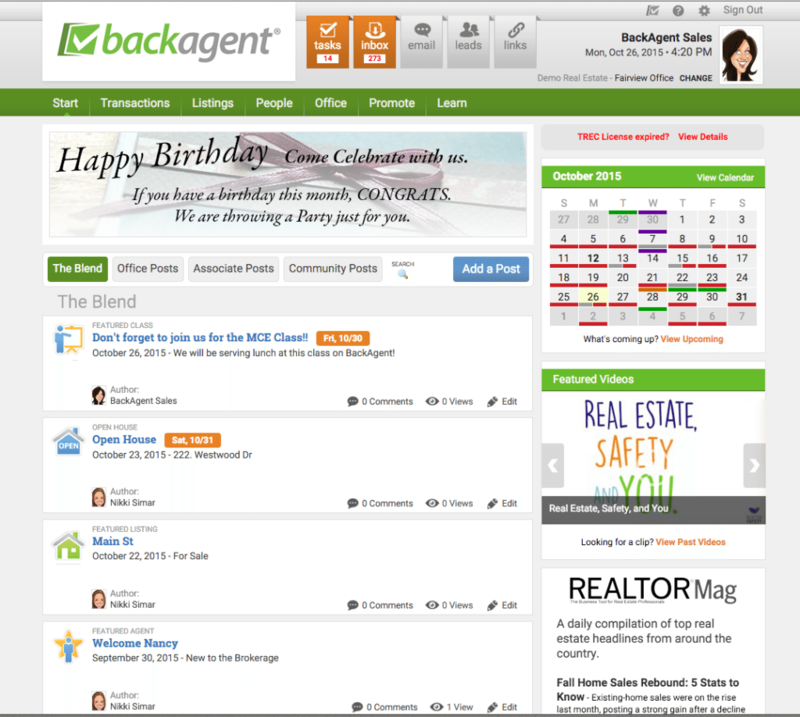 BackAgent is probably the most thoughtful office management solution you haven’t heard of. The Katy, Texas, company’s real estate “back office” software combines a number of features to encourage everyday interaction, integrates all staff into office business and supports a sophisticated transaction workflow. The transaction component is an add-on, but one I feel can quickly transform a disorderly, agent-by-agent procedure into a valuable enterprise business process. 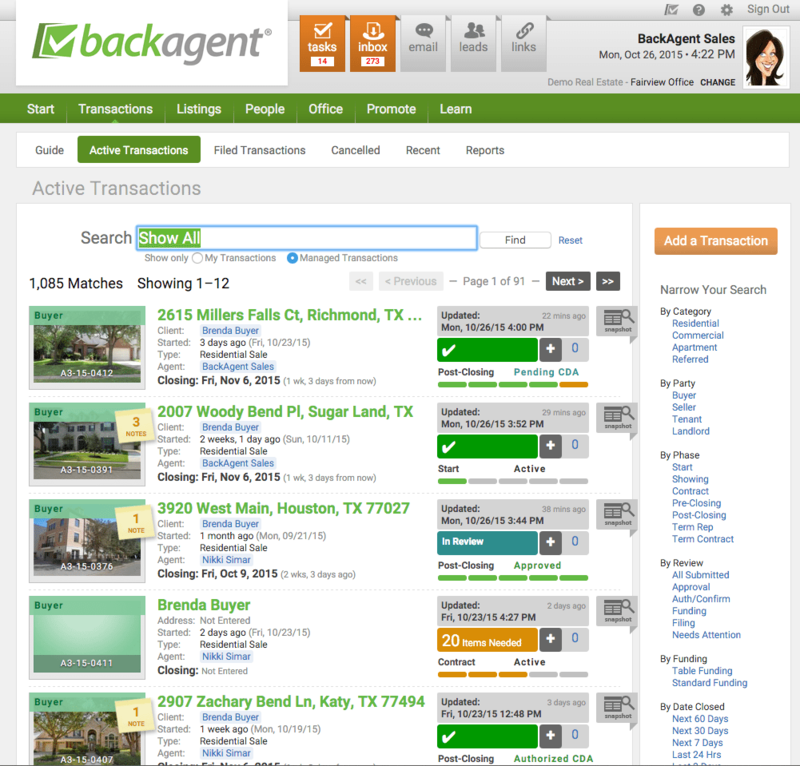 BackAgent combines a number of features to encourage every-day interaction. ZipForm documents are easy to create and smoothly integrated as the deal progresses toward pre-close. Numbers and names can be edited at each step if needed, and brokers and appropriate staff can have a say in reviews and approvals. There’s a solid benefit to clients in the deal “roundtable” page that securely publishes a Web page to monitor all aspects of the sale. 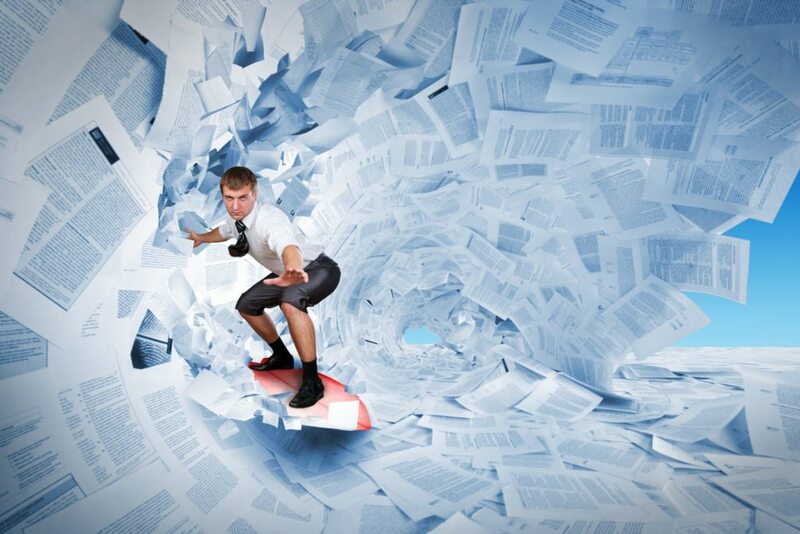 Documentation and financial procedures are nicely packaged, and after close, they’re electronically archived for up to ten years. Creating hard structure around an organization’s most critical process is the bane of many companies, regardless of industry. Business leaders strive to create systems. It’s the very essence of the assembly line. Your IDX connection streams all of your office’s listings and neatly summarizes them in the Listings silo. Users can view only theirs, everyone’s or the entire market’s. As listings move toward sale, data migrates intuitively to the transactions component. There is a People feature for poking around leads and contacts, community contacts and staff. Notes, tasks and messages can be exchanged among individuals or teams. I was surprised at BackAgent’s nicely designed marketing toolset. And relative to people, The Blend is a running list of relevant industry news, community updates and office events accessible on all users’ primary dashboard. This offers real estate offices an ongoing, central hub of talking points, whether gossip-generating or newsworthy. Clients can be kept up to date about the status of their listing and sale, as can the various office staff attached to it. BackAgent does a nice job in spreading knowledge to those in the office who will benefit from it. Task functionality provides nimble controls to create and assign an array of internal and listing-oriented to-dos. Task senders can even customize how they want the response to be entered. Typically, when collateral creation is worked into larger systems of productivity like this, the visuals are tired and lacking. That’s not the case here. Designs are up to date, reflect professionalism and easy to customize. BackAgent even builds websites. BackAgent users can schedule conference room time, be alerted to the next sales training or license update class, scan broker-provided resources — and brokers can monitor their agents’ activity within the system. There is a lot hiding in this relatively undiscussed product. The company is still at a point where it can provide an array of custom features and specialized adaptations to your brokerage’s workflow. They seem quite customer-service oriented, but that could change if the burden of demand turns the tables. I’d recommend getting in on the ground floor.